You telegraph your identity primarily with your face—its structure and lines, texture and color, overall appearance and expressions. Your face sends messages regarding your emotions, health, vitality and age. What does your face say about you? 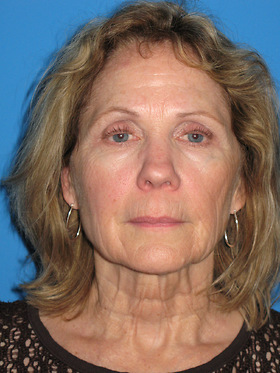 If your face makes you appear tired, angry, sad or older than you feel, Dr. Alyson Wells is a board-certified plastic surgeon with specialized training in facelift. 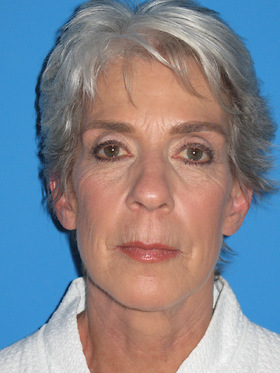 At her Baltimore area practice, she can help you to project vitality through natural-looking facial enhancement. Request a consultation online or call (410) 628-8200 to meet with Dr. Wells. She will create a customized approach to address your particular problem areas and achieve your specific desires. 5 Are You a Candidate for a Facelift? 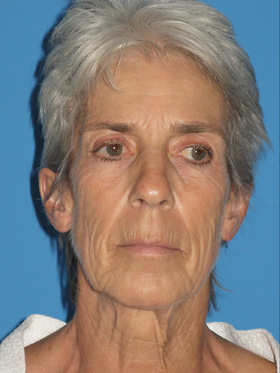 6.1 How do I know I am a good candidate for a facelift, and who is a “typical” patient? 6.2 What can I expect during my recovery after a facelift? 6.3 When can I go out in public after a facelift? 6.4 Will everyone know I’ve had “work done” if I have a facelift? 6.5 Will a facelift get rid of all the wrinkles on my face? 6.6 How long will my results last? Will I need to have another facelift in the future? 6.7 How much does a facelift cost? 6.8 I am not sure that I am quite ready for a facelift just yet, but I really want to do something to improve how I look. Are there alternatives? Like a stretched rubber band, the tissues within your face weaken over time, losing resilience and youthful firmness. Your face is composed of layers of skin, muscle and fat lying above the facial bones. With sun damage and other factors, your skin’s collagen and elastin break down and skin loses structure and elasticity. Facial muscles weaken and stretch, and fat deposits, which normally give the face a soft, rounded appearance, migrate downward, creating hollow areas. These changes create deep wrinkles, jowls, and loose skin in the lower face. Dr. Wells uses her focused facial surgery training and experience to customize a facelift procedure to address these changes in the mid to lower face. Dr. Wells offers facelift surgery for Baltimore area women and men to tighten the skin and muscles of the cheeks, produce a more defined jawline and restore a youthful shape and appearance. Each type of specialized facelift treats different regions of the face. During a lower facelift, the underlying connective and muscle tissues known as the SMAS are lifted, facial skin is tightened and excess skin is removed. A lower facelift cannot correct signs of aging in the forehead or around your eyes or address fine lines or uneven skin tone and texture. Changes to the middle region of the face, such as loss of volume and sagging of the cheeks, deep wrinkles and hollow areas below the lower eyelids, often occur earlier than changes to the lower face. A mid-facelift is often appropriate for individuals who have not yet experienced sagging in the lower face. For a more complete rejuvenation of the face, facelifts are frequently combined with fat transfer, neck lift, eyelid lift (blepharoplasty) or brow lift or followed by laser resurfacing or chemical peels. Dr. Wells strategically places the incision so that it is well hidden within or along the hairline of the temple, following the curve of the ear, behind the earlobe, and back along the hairline behind the ear. The length of the incision will depend on the extent of the facelift procedure. An additional small incision is usually placed under the chin to address fatty deposits and muscle separation in the front of the neck. The best facelift candidates are patients whose skin appears lax or sagging. Patients in their 40s, 50s and 60s are the most common facelift patients, but others in their 70s and 80s have successful surgeries as well. During a personal consultation, you and Dr. Wells will determine the best options for you. 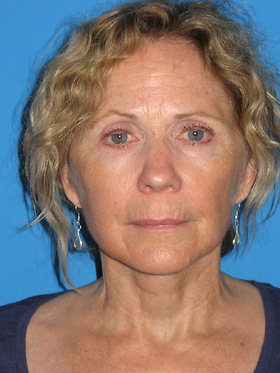 How do I know I am a good candidate for a facelift, and who is a “typical” patient? Patients who come to see Dr. Wells about any type of facial rejuvenation procedure, including facelift, most commonly are in their 40s, 50s, 60s, or 70s and realize that they are developing sagging skin and jowls, deeper lines running from the side of the nose to the corners of the mouth, extra fat under their chin and around their neck, and wrinkled or creased skin over the entirety of their face at an accelerated rate. They frequently express that they feel they are “tired-looking,” but their face is not an accurate reflection of how energetic, youthful, and vital they feel on the inside. What can I expect during my recovery after a facelift? Following your surgery in our accredited surgery center and observation in our post-anesthesia recovery area until you are awake and comfortable, you will return home or to your hotel with a family member or friend. Some of our patients request assistance from a healthcare provider (either an R.N. or an L.P.N.) for the first few days, and this can be easily arranged prior to your procedure. Most patients will experience some bruising and swelling, but few report any substantial pain or discomfort. You will return to our office the following morning so that Dr. Wells can ensure you are off to a smooth recovery. Your dressing will be replaced with a new one, and your hair will be shampooed and blown dry for your convenience. You will be asked to moderate your salt intake and to sleep with your head elevated to minimize swelling over the next 1 to 2 weeks. Your sutures will be removed beginning at 1 week following your surgery. When can I go out in public after a facelift? Many of our patients feel they can be in public within 7 to 10 days, especially with a bit of foundation or concealer, and then return to work outside their homes in about 2 weeks. Will everyone know I’ve had “work done” if I have a facelift? A great facelift should make you look great! A lovely, natural-looking facelift should not be immediately obvious to someone whom you have just met (other than someone thinking how young you look for your age), but it very likely will be noticeable (in a good way!) to those family and friends whom you interact with closely and see on a regular basis. And people will notice that by not only how you look, but by the new confidence with which you carry yourself. Will a facelift get rid of all the wrinkles on my face? In general, a facelift is best at addressing laxity of skin and muscle tissues in the cheeks and lower face. Areas that we expect to improve are the jowls, cheeks, and nasolabial folds (lines from the sides of the nose to the corners of the mouth), as well as the entirety of the jawline and neck if a neck lift is done at the same time, which is most common. A facelift may improve finer lines, creases, and wrinkles on the face, but this is much more variable. There are many patients who will benefit from other procedures, either performed at the time of a facelift or following a facelift, in order to address the fines lines, crepiness, or poor skin texture that we see in the skin as a person ages. For example, the fine lines around the mouth and chin can be addressed at the time of a facelift with a laser treatment, microneedling, or a chemical peel. Likewise, the full face can undergo these treatments to improve the fine lines and texture, but it is usually done after fully healing from the facelift. How long will my results last? Will I need to have another facelift in the future? We expect a facelift, especially one performed by Dr. Wells and addressing the underlying muscle layer, to be beautiful, natural-looking, and long-lasting. The clock can be turned back to an extent, but nothing stops the process of aging and halts time moving forward. The longevity of a facelift result is also highly dependent upon skin tolerance and elasticity, weight stability (past and future), genetics, and sun exposure (past and future), just to name a few factors. Although some patients may opt for a “refresher” after several years, we encourage patients to maintain their good results with medical grade skin care (peels and topicals), BOTOX® injections, filler injections, fat transfer, and laser treatments as applicable to their individual needs. A facelift is a highly specialized and individualized procedure, so an absolute cost is difficult to give prior to a consultation with Dr. Wells. 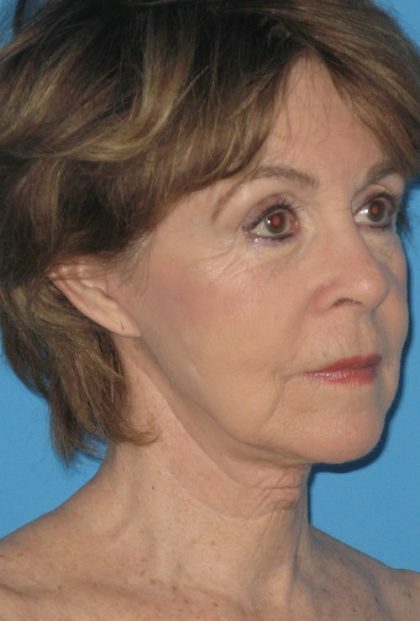 For instance, some patients will benefit from a neck lift or fat transfer as an integral part of their facelift, whereas some patients do not need this level of intervention or additional time involved. Valley Plastic Surgery is knowledgeable about regional and national trends in costs associated with providing this procedure, including the costs associated with anesthesia and the operating room, and we strive to be competitive with plastic surgeons in the Baltimore-Washington area. However, some variability in fees throughout the region may reflect less invasive or less effective procedures, less training of the physician performing the procedure if other than a board-certified plastic surgeon, less training of the individual providing the anesthesia if other than a board-certified anesthesiologist, or lack of accreditation of the surgery facility in which the procedure is being performed. In other words, Dr. Wells is a board-certified plastic surgeon and a board-certified otolaryngologist/head and neck surgeon who operates in her own accredited surgery center with a board-certified anesthesiologist providing the anesthesia. I am not sure that I am quite ready for a facelift just yet, but I really want to do something to improve how I look. Are there alternatives? Depending upon your specific concerns and needs, there are usually a number of other procedures or treatments that Dr. Wells could offer you. For instance, some patients are able to obtain a more youthful and freshened appearance with BOTOX and injectable fillers to relax frown lines and plump up the lips and nasolabial folds. Some jowling can be concealed with injectable fillers as well. The skin texture can be improved with peels and laser treatments. 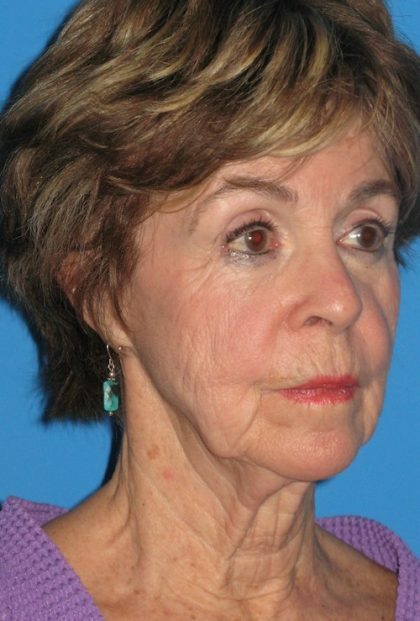 These less invasive alternatives do not give the same level of improvement or tightening that a facelift would and are not appropriate for every patient, but they can be effective to help slow the effects of aging until the right time for a facelift.